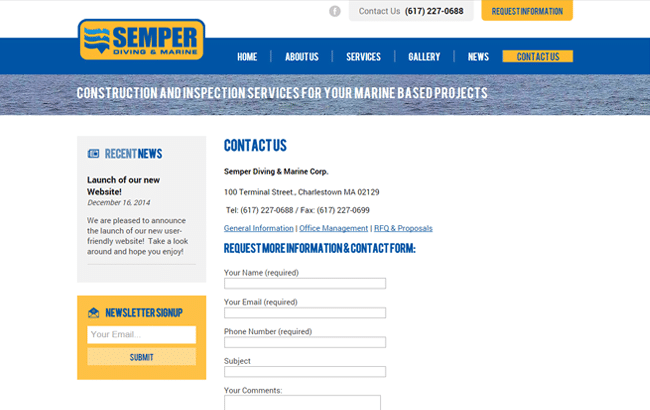 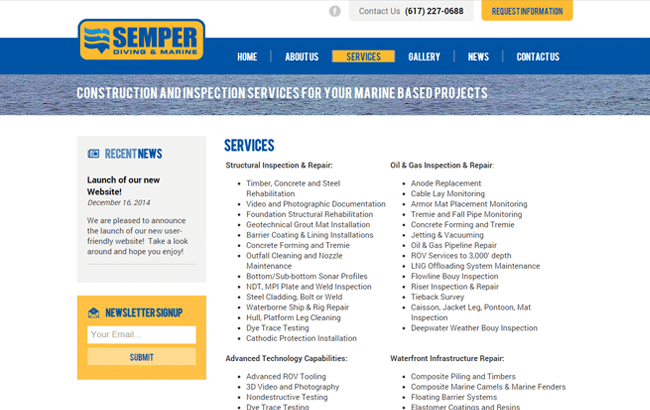 Semper Diving & Marine, located in Boston, offers contracting services from construction and inspection, to heavy civil projects and commercial diving. 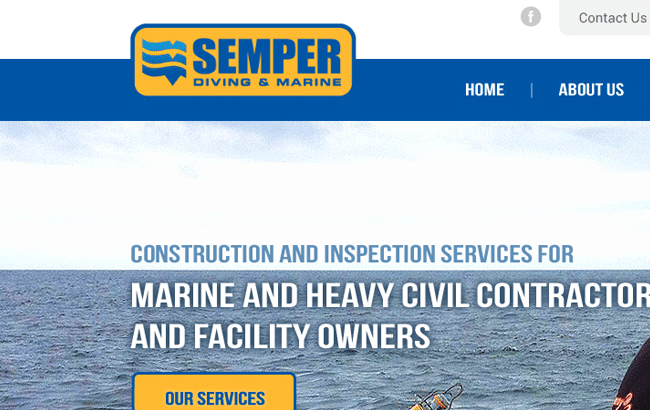 GoingClear provided a clean an easy to use design that stays true to Semper's roots by combining their company colors with ocean photography. 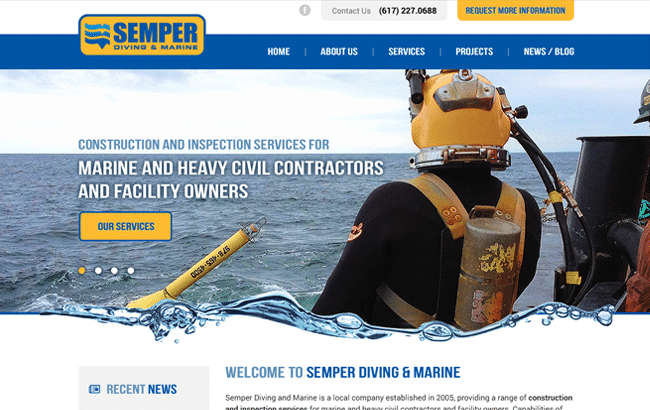 This keeps the overall feel light yet still professional, and incites users to explore the site like and ocean adventurer! 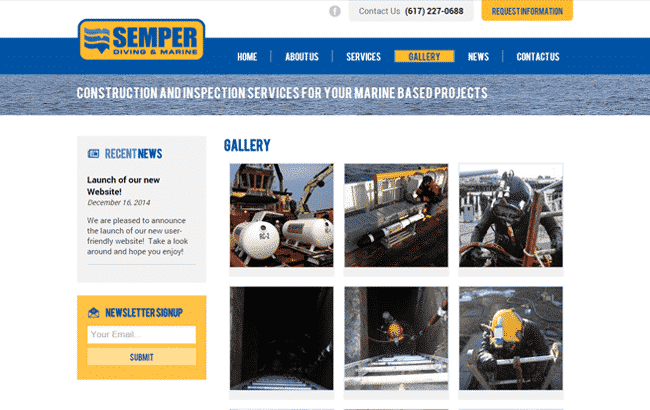 In addition, the new Semper Diving & Marine website features an in depth photo gallery and blog.